Personal Training, Boot Camp, and Boxing, in Rockland County, NY. foundation leading towards your Ultimate Dream body goals that you have always wanted. Need Help with weight Loss? Contact us NOW for a FREE Health and Fitness Consultation. So you can’t lose...that is unless you are not serious about change. ✔️ Attend an orientation, see if you qualify. We will explain all the details. ✔️ Place a 100% refundable deposit. ✔️ See your body and mind change! 🔑 Personal Accountability Coaches are the Key to ensure you have a whole team behind you! 👍A thriving online community that provides 24/7 support! only reasons you’ll be refused) at the end of the orientation if you feel this isn’t for you or you don’t qualify there is no obligation. 🚫You aren’t willing to change the way you eat. 🚫You won’t ask for help. 🚫You are not motivated to change your body and life. Free 6 Week Weight Loss Body Transformation Challenge? How serious ARE YOU? Apply now! Limited to first time Peak Physique participants only. dangers as well. From increased risk for cancer to heart disease to diabetes, unwanted belly bulge puts your life at risk every day. reason. Much of the industrialized world has cut movement out of their lives in many ways, making it necessary to hit the gym in order to stay fit. will also put your muscles where they belong, which helps your belly look flatter. Getting rid of belly fat can’t only be done in the gym. It requires a lifestyle change that includes being very cautious of what you put in your mouth. all, there’s a reason a pudgy front is called a beer belly. shuteye on a nightly basis. progesterone in women and testosterone in men. But don’t think aging means you have to simply accept weight gain. and confident about their body. diet balanced with a range of healthy, real foods. the mood to cheat on said diet. eating is second nature, and not a temporarily imposed sentence. you didn't gain that fat in a week, and you won't lose it in a week either. Look for, and acknowledge, each and every small victory along the way to your long-term goal. Notice each pound, each inch and each pant size. These accomplishments build on one another until you reach your ultimate goal. Just remember that big changes take consistent, long-term effort. and then make another list of completely off-limits foods. your body – once and for all. Unfortunately all that indulgence typically leads to a pound gained for each day that you're away. Your best line of defense is to keep your fitness goals at the forefront of your mind. Your Plan: Before you leave for your trip sit down and set a goal. A realistic goal is to maintain your current weight or to lose a pound or two. The simple act of bringing your fitness goal to mind before leaving on your trip will greatly reduce your chances of coming home heavier. There's nothing like a vacation to cause you to throw all caution to the wind with indulgent snacking. While these snacks may be fun, the damage will quickly catch up to you. Your Plan: Approach your trip with the strategy of indulging with control. If you really must have a sweet treat, then make it small and follow it up with a balanced, protein-filled meal. Another way to reduce indulgent snacking is to bring along your own healthy options. Dried or fresh fruit, unsalted nuts, health bars, cut veggies and low fat jerky are a good start. By filling up on these healthy snacks you will end up eating less when presented with a sweet or salty treat. While the easiest thing to do with a big plate of food is to simply eat it all—you are on vacation after all...right?—that isn't the best for your waist. Your Plan: Decide here and now that you will not indulge in large portions. This gives you no choice but to eat a healthy portion. Who really wants to go to bed early while on vacation? The days stretch long and undoubtedly end with a nice big dinner. All these calories, eaten right before bed, will quickly land around your waist. Your Plan: Simply stop eating 3 hours before you go to bed. This easy trick is especially effective while on vacation. So skip that late night indulgence and wake up looking and feeling great. Oh, groan, do I really have to exercise while on vacation? Yes, you do! That is if you want to look and feel younger and more alive. Too often exercise is looked at as work, but vacations are the perfect time to really enjoy a good workout. Your Plan: Look at vacation workouts as a treat, and make it a priority. good use out of it. you want more ideas of workouts you can do using just your body weight then give me a call or send me an email. great way to burn off extra calories. Take the stairs instead of elevator in your hotel and any other buildings you visit. •Go on a short jog in the mornings or evenings of your stay. If your hotel has a pool, swim a few laps each morning or evening. for getting you the body that you deserve – it's easier than you think. You want to be slimmer and to tone your body, but your weight won't budge. more to derail your efforts than to help you. Take a few moments each day to visualize yourself at your ideal weight. Imagine how it feels to look the way you've always wanted. and you will be well on your way toward achieving your goal. Give up the belief that you can't achieve the body you've always dreamed of. See it first in your mind, and then in the mirror. into shape. Until you conquer this fear, your weight loss efforts will be blocked by self sabotage. instantly create a lasting change. Believe that something MUST change. You can't be wishy-washy about it. You can't be considering it. You can't even be pretty sure about it. You've got to be rock solid. to make it your personal mission. things. Do you believe that you are capable of losing weight? Once you own the belief that you can, you'll be unstoppable. always has the advantage. Don't allow excuses to ruin your life any longer. Don't skip out on your responsibilities with excuses, instead expect more from yourself. you routinely abandon your goals. If you truly want to lose weight then your commitment to the process is a must. The margin between success and failure is bridged by your commitment. Don't give up until your goal has been achieved. your schedule and mark them (in pen) on your calendar. Now stick to your schedule. If you don't give up, then you'll never fail. replace them with real whole foods like lean meats, vegetables, whole grains, nuts and fruits. make you sick and fat. and wholesome carbohydrates from plants and whole grains. consistently exercising and eating right, plain and simple. is was waiting for them? Who would push themselves if no one was paying attention? Exercising alone is a recipe for disaster. I am passionate about seeing you achieve results - don't waste your time, energy and effort on mistakes. keeping you accountable to workouts and giving you that dose of encouragement when you need it most. 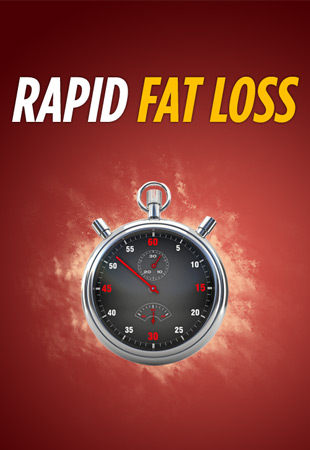 Get serious about your results and begin the last weight loss program that you'll ever do. Call or email today to schedule your first workout. You'll find my contact info in this newsletter. Holiday parties. Dont let it get in the way of your training sessions, or cheat on your diet, if your goals are to lose weight. We are starting a new diet, weight loss program, called Personal Diet Trainer. 24 hour food log and support from your private nutritional advisor. Call now for details on the most effective way to track and monitor everything in your diet, and lose weight Now. our size to service you in all your health and fitness related goals. 233 W. Rt. 59, Nanuet, NY- Rockland County. new champion will be crowned. No Excuses. are the best personal training studio in the Hudson Valley. Call 845-893-6529 TODAY AND SIGN UP!!!! Peak Physique's county famous WEIGHT LOSS CHALLENGE is now in season. Our 12 Week competition has proved effective for years. It's almost TOO easy. Drop weight, earn cash, have fun. Can you name a better combo? CHALLENGE YOUR BODY? Then call 845-893-6529 TODAY and join the callenge. We just started up a new challenge, so there are no excuses. Don't wait to call. JOIN NOW AND BEING THE ROAD TO THE NEW YOU!!!! with peak Physique, the #1 personal training studio in all of Rockland County! cash prizes. Our boxing and bootcamp classes will lead you to a better, healthier life. Get off the couch, give us a call! 615PM to make the next step TODAY. NO EXCUSES! up a private session. Don't linger. The time is NOW. NO EXCUSES. everyday if you want. The harder you go, the better the results. Time to look good for that family dinner coming up. NO EXCUSES. the New Year. Peak Physique Personal Training, Boot Camp, Boxing, top weight Loss training center in Rockland County. No Excuses. for our exclusive one on one personal training program, which is the top training center in Rockland, for real fitness results. supplements, to help you reach all your health and weight loss related goals. Boot Camp and Boxing Classes. The Top 3 winners reduced their bodyweight and fat percentage, immensely. Congratulations. No Excuses. all those useless fad diets, as proper meal timing, portion control, and food choices, are far more effective for weight Loss. training HARD. The only training center in Rockland County NY, with real weight loss Boot Camp classes. Almost there. NO EXCUSES. for weight loss in ALL OF ROCKLAND COUNTY! Come find out why, NO EXCUSES. TONS of progress in the weight loss challenge. You need to be a part of this if you aren't already. Hundreds of pounds have already been shed. Let's hope those numbers keep rising. Weight Loss, toning, weight management all in Rockland County, New York. What's your excuse? WEIGH IN TODAY. We are seeing TREMENDOUS progress amongst the contestants. Hundreds of pounds have been lost as of todays weigh in. BOOT CAMP AND BOXING IN ROCKLAND COUNTY! PHYSIQUE! ROCKLAND COUNTY'S #1 FREE BOXING STUDIO! Bootcamp/Boxing Membership TODAY. Call 845-893-6529 NOW and stop procrastinating. NO EXCUSES. Bootcamp and Boxing classes in all of Rockland County. We'll prove it. All you need to do is show up. NO EXCUSES. group boxing and bootcamp at 615 and 715. EXPERIENCE THE PAIN NOW. REAP THE REWARDS LATER. NO EXCUSES. To members and non members...anybody willing...TONIGHT IS FREE BOXING AT 615PM! We are Rockland County's #1 FREE BOXING GYM! have no intention of taking this class out of our schedule. BE HERE AT 615 TONIGHT FOR A FREE HOUR WORKOUT W/ TRAINER! Boxing studio is waiting for you TONIGHT. Don't tell yourself you'll come. DO IT. NO EXCUSES. JOIN THE PEAK PHYSIQUE EXCLUSIVE WEIGHT LOSS CHALLENGE RIGHT NOW. 1. Do you want to lose weight? 2. Do you want to win CASH? INFORMATION. PEAK PERFORMANCE, PEAK POTENTIAL. PEAK PHYSIQUE. County. Stop in today and find out why. PEAK PHYSIQUE, NO EXCUSES! your goals. Whatever it takes, we will provide it. NO EXCUSES. the pain. PEAK PHYSIQUE. NO EXCUSES! BEST BOOTCAMP, BOXING AND PERSONAL TRAINING IN ALL OF ROCKLAND COUNTY! no excuses. Start building a better body with us FOR FREE. Suffern Location- Click Here NOW! Nanuet Location- Click Here NOW!